41 percent said they recommend restaurants at which they’ve had good experiences to friends and family. Like many other businesses operating in the digital era, success for restaurants starts and ends with the state of their facilities such as ambience, cleanliness and other important environmental factors. Sure, it’s great for a restaurant to have a nice website or app, but that is not likely to be the determining factor for whether a customer chooses to eat at one location versus another. However, if a restaurant’s bathroom is in shambles or the lighting is terrible, look out for those bad Yelp reviews that turn into some serious business losses. Your restaurant’s physical infrastructure has a direct effect on customers’ brand experience, which means it needs to be in optimal condition to ensure their experience is consistent – a concept called “brand uptime.” Effective maintenance and management guarantees your restaurant is in peak condition at all times, which in turn improves customers’ perception of your brand. Your restaurant’s physical infrastructure has a direct effect on customers’ brand experience. Since restaurants rely heavily on equipment, all assets, especially vital kitchen equipment like stoves and freezers, must be functional, clean, and compliant with regulatory standards at all times. To keep track of your critical restaurant assets, you need a system that stores valuable data (such as age, warranties, repair and maintenance history, and more) in an organized fashion, and can alert you when a piece of equipment needs tuning up. This way, critical equipment is always operating at its best and the customer experience (let alone your revenue) doesn’t suffer due to downtime. Additionally, planned repair and maintenance can support brand uptime. Planned maintenance is work done regularly for equipment upkeep and health. Not only does this make sure assets are always functioning optimally, but it also saves restaurants from having to perform costly, time-sensitive repairs or replacements by lessening the chances of full equipment breakdown. For example, performing regular tune-up work on your ovens, such as deep cleaning or checking the gas lines, keeps them working their best and reduces the possibility of failure. The routine repair and maintenance work you perform on your ovens costs less than paying for full replacements in the event of total breakdown. There are many factors that influence how diners perceive your restaurant’s atmosphere, including decor, temperature, lighting, cleanliness, noise level, and more. How you conduct your facilities management processes can have a considerable effect on the atmosphere of your restaurant — if the heat is on too high, the air conditioning is too cold, the floors are dirty, or the lights keep flickering, your customers will definitely take note. To create an attractive atmosphere inside your restaurant, your HVAC system, speakers, lighting controls, and more need to function optimally. Keep track of the statuses of these types of assets (know for a fact, don’t guess), and schedule repair and maintenance when necessary to ensure a pleasant dining experience for your customers. Creating great customer experiences requires your full attention. Therefore, having to break away to deal with broken equipment or out-of-service restrooms can be detrimental to your diners’ experiences. Using cloud-based facilities management software helps alleviate the stress of maintaining restaurant facilities, leaving you free to focus on providing the most attentive customer service possible. With the right software, you can schedule repair and maintenance work, track work requests and fulfillments, and monitor work quality from anywhere, efficiently and virtually. You can even set up your software to auto-schedule work. This can be especially helpful if you’re managing more than one of your restaurant’s locations, relieving you of the need to travel between them so often. As a best practice, be sure to monitor the amount of time and money you are allocating to repair, maintenance, and management of your restaurant facility, and run analytics to find areas in which you can streamline your processes and cut costs without affecting results; in doing so, one major restaurant chain was able to save more than $1.7 million. Effective facility management is your hidden weapon when it comes to creating great customer experiences in your restaurant. Regardless of the cuisine, the well-kept state of any restaurant’s facility can help ensure a wonderful experience for its customers. Tom Buiocchi is the President and CEO of ServiceChannel. 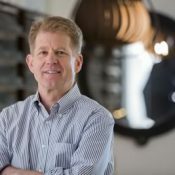 He joined ServiceChannel as an Executive Director in 2014 and has more than 30 years of experience leading growth companies in both technology and energy services.